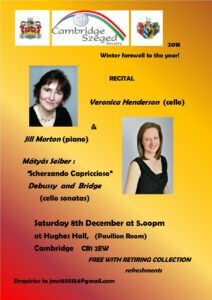 At Hughes Hall, Pavilion Room, on 8 December, at 5 pm, with refreshments. Entrance free with retiring collection. All welcome.